As a dad, you want to protect your daughter—especially from boys with super-charged hormones. But the thought of talking to these young men can make a man break into a cold sweat. 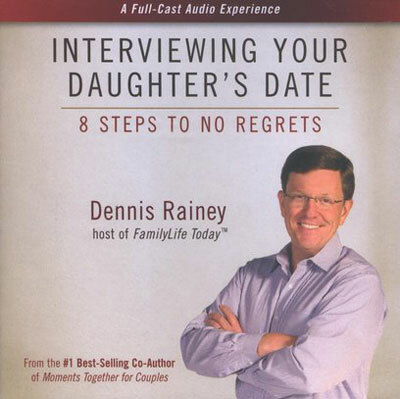 Interviewing Your Daughter's Date will walk you through eight principles that Dennis Rainey used to help his own daughters navigate the dating years with their emotions calm, their hearts whole, and their character intact. You'll learn how to protect your daughter, set boundaries in her relationships, and give her guidance as she grows up.